Apple recently released the much-anticipated iPhone X, or ten as its official name. I bought one recently and have spent some time with it, so wanted to give you an overview of what I thought after it being in my possession for 10 days. I know what you're going to say, why would you spend £1000 on a couple of pieces of glass? ", well there's a few reasons: 1) I didn't £1000 on it. I got a great contract for the handset and it's actually a pretty good deal. 2) I desperately needed a phone upgrade. I had a battered 6S before the X and was toing and froing between the X and 8 Plus, but I knew if I bought the 8 Plus I would regret it and want the X so just went all out. I waited a few weeks to receive my iPhone due to stock demands, but was instantly impressed when I took it out of the box - it looked so beautiful. I instantly saw the infamous 'notch' (more on that in a bit) and the full OLED screen display. I got the 256GB version and I have a great explanation as to why: my iPhone 6S was only 16GB (they've done away with that as the minimum storage now though) and I could only fit 100 or so songs on it. I would've got the 64GB one but once I'd added up my photos, music and videos into the total capacity it would have been over. I'm so glad I made that decision as I can now listen to my entire music library and save as many photos as I like without worrying that the dreaded 'Storage Nearly Full' message coming up. Anyway, back to the phone itself. I was instantly terrified seeing all these drop and shatter tests of the iPhone X on YouTube, so decided to put it in a case. If you are getting this device, a great but not too bulky case is the Snugg, which has reinforced edges and two layers of case, so you know you're being protected when you drop your precious phone. I went against all good advice and omitted a screen protector from my purchase. I have mixed feelings as to whether I regret this or not as there's hairline scratches on the display already and I haven't had it very long. Subsequently, I did buy a screen protector but can't for the life of me put it on without getting dust on the sticky side so it looks awful and there's dust in between the screen and its protector. In terms of features, Face ID is definitely a stand-out one for me. It unlocks your phone by you simply looking at it, instead of using a temperamental fingerprint sensor. I find myself not having to enter my passcode anywhere near as much as I did on Touch ID when it wouldn't recognise my print. Also Face ID is now integrated into most apps, so you can use your pretty face to see your banking, watch TV and more. It's pretty versatile too so will recognise you in darkness, low-light, with a scarf over your face and sometimes with you not even hovering over it. The infamous 'notch' is a widely debated topic: is it distracting? Does the phone need it? Here's my opinion: it doesn't bother me one bit. Like most things you get you used to it and it doesn't distract me from Netflix viewing or anything else. Also the 4K quality of shows such as The Grand Tour on Amazon Prime with the brilliant screen is just gorgeous, so all worries about said notch aren't worries anymore and a mere oversight. Instead of boring you all for hours on end about the iPhone X, I thought I'd end with my official verdict: it's awesome and I really love it. Also the battery life is great, so if that isn't a selling point I don't know what is. Have you got an iPhone X? If so, let me know what you think. 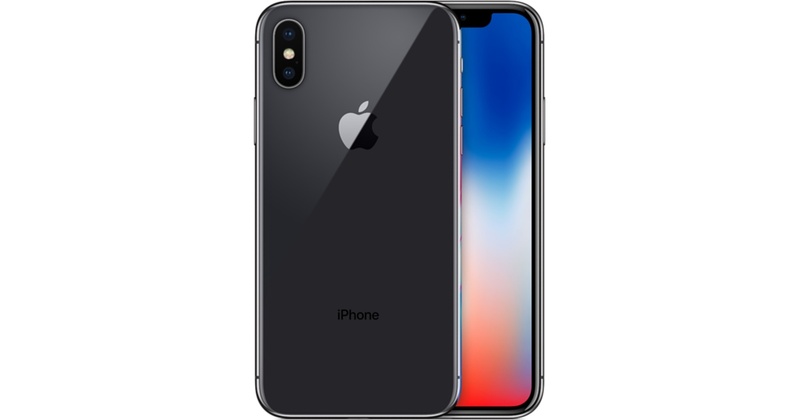 You can buy the iPhone X at any major phone retailer or network, at your local Apple Store or online. I went for the 8, although part of me kind of regrets not getting the X. That's only envy though, because I'm actually really happy with how quick the 8 is, the quality of photos with it and the batter life is MUCH better than my previous 6 (which had fallen into a toilet :( ). How's the camera on the X? I went for the X because I knew I'd regret it if I got the 8. The camera on the X is great, really sharp. Animojis are great too. Oh yeah it's a definite upgrade from the 6 (I had a 6S before and it was starting to fail on me). I'm so happy for the better battery life for both of us!